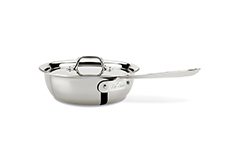 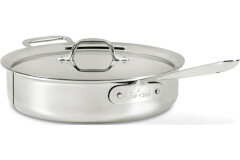 Sauté Pans include Chef's Pans and Weeknight Pans and are perfect for the initial sauté or sear. 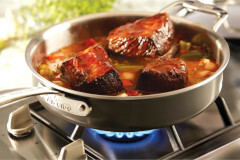 They usually have enough capacity to add liquid ingredients for a pan sauce or chopped vegetables for a one-pot meal. 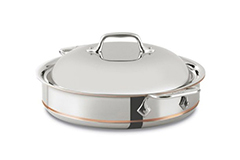 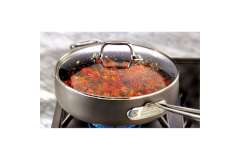 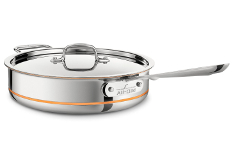 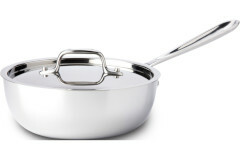 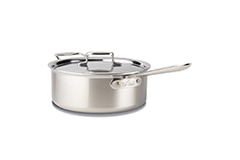 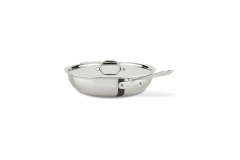 The Sauté Pans are available in all collections offered by All-Clad and in sizes ranging from 2 quart to 6 quart. 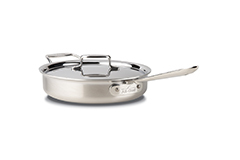 They are oven safe and suitable for all cooktops.